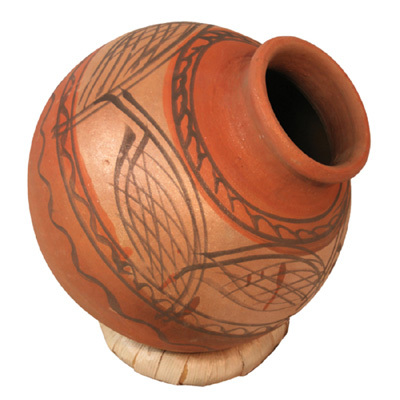 The Ghatam is the original terracotta drum from Southern India. They are also played in Rajastan, where our drums are made and are locally known as Madga. These hand painted drums contain a small amount of brass, copper or iron filings in the clay mix which helps produce the sharp metallic ringing sound. It is played in fast rhythms by hand, like a djembe. The Ghatam is the original terracotta drum from Southern India. They are also played in Rajastan, where our drums are made and are locally known as Madga. These hand painted drums contain a small amount of brass, copper or iron filings in the clay mix which helps produce the sharp metallic ringing sound. It is played in fast rhythms by hand, like a djembe.